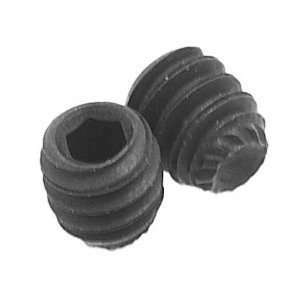 These are set screws that have a knurled end on them to provide some extra holding power so they wont back out or come loose. The are 1/8" long and they are your standard 4/40 thread. 10 screws to a pack.